Exclusive Carries Kiddie Closet design. Please enter personalization below and enter Groom for a couples shower. 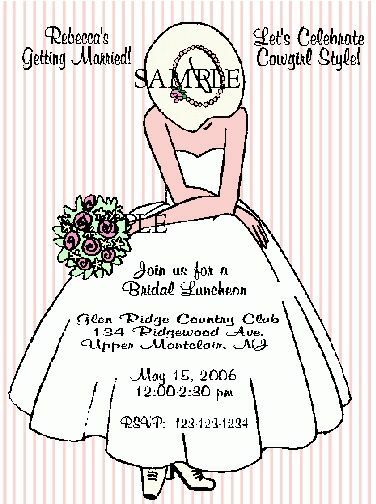 These are the perfect cowgirl bridal invitations and be sure to include some matching cowgirl wedding thank you cards! Wording can also be changed and cards can be used as soon to be the bride cards, wedding invitations and more! These would also make adorable engagement party invitations or announcements.